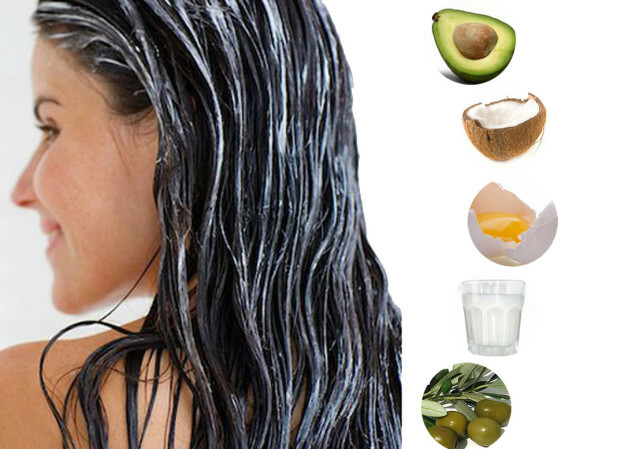 Natural home remedies for hair growth are often touted as an alternative to hair loss drugs and chemicals. Do keep in mind that many of these remedies are not scientifically proven, like FDA-approved medications or regulated and clinically proven dietary supplements. Your hair growth results with these home remedies may be inconsistent. We compare 3 of the top natural home remedies for hair growth. Here are the top 3 natural home remedies for hair growth. One of the top home remedies for hair growth touted by natural-beauty enthusiasts is the egg mask. Egg yolks are rich in biotin, and it’s long been known that eating biotin in foods or hair growth supplements helps nourish thinning hair. But many claim applying egg whites in a mask at least once a month can help add thickness to hair follicles as well. Add olive oil to two egg yolks and apply to your scalp. Leave for 15-20 minutes and wash with gentle shampoo and moisturizing conditioner. Another one of the many natural home remedies for hair growth is natural oil. Massage the scalp at least weekly with pure, natural coconut oil, almond oil or olive oil. Gently warm the oil and massage into your scalp in a circular motion. Ideally, leave the oil on your hair overnight so that it absorbs deeply into the hair follicle and scalp. But if you’re prone to oilier hair, you can soak a towel in very warm water, squeeze out the excess moisture, and wrap the towel around your oiled hair. Leave the towel on your head for at least 30 minutes. Then wash and condition hair with shampoo and conditioner. A common home remedy for hair loss is an apple cider vinegar rinse. After shampooing hair, rinse with a mixture of warm water and organic, natural apple cider vinegar to make hair look shinier. The acidity of the vinegar gently cleanses and clarifies the scalp, maintaining the optimal pH balance. It is true that a stimulated scalp with improved blood circulation is the ideal environment for healthy hair growth. Many also believe that balancing the pH of the scalp can help provide a good scalp environment to minimize hair shedding and hair loss. Though apple cider has a mild smell, if you’re not a fan, try adding a few drops of essential oil, such as rose or lavender, to the mixture before rinsing your hair. These are just 3 of the top home remedies for fuller hair. There are very few scientific studies that support the results of these home remedies. For a scientifically proven solution to hair loss, consider a nourishing hair growth vitamin supplement that promotes existing hair growth.